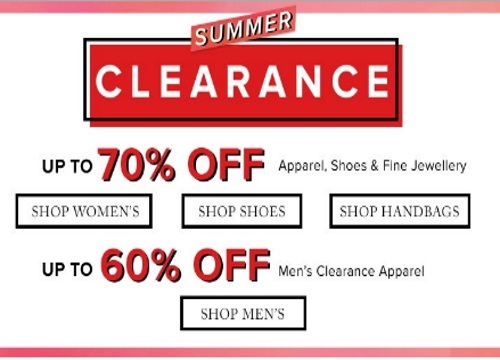 Hudson's Bay has a Summer Clearance on now! Save up to 70% off apparel, shoes and fine jewellery, as well as up to 60% off men's clearance apparel. Offers are available for a limited time. Free shipping applies on orders of $45 (or $29 beauty orders) with your HB Credit Card or $99 ($49 on beauty orders) with other payment options.